We've all started to think of our iPhones as a pocket camera. It may not have the same resolution as one of the more powerful point and shoot digital cameras out there, but for those simple Kodak moments, we're all bound to use our iPhone to take a quick snapshot. We always have it in our pockets, it's lighter and more personal than the digital camera and it has some neat features like GSP tagging for photos. In order to enhance those neat features with something extra, Soft Density launched PhotoStamper for your iPhone, iPod Touch and iPad. 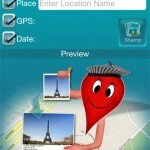 The app lets you easily stamp your photos with titles, GPS location, time, date and place the photo was taken. 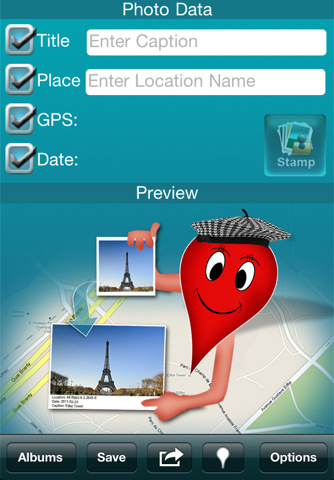 PhotoStamper features a simple edit screen. Select your photo from the iPhone's albums, and any GPS information that might be available with the photo will also be loaded into the appropriate field. 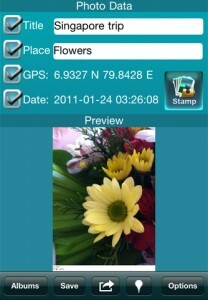 It's then your task to enter any additional information you want, such as the photo title or where it was taken. In order to save your photo to the album with the modifications, there's one more step to undertake. Simply hit the not-so-obvious "Stamp" button right next to the date field. After this, you can safely save your photo or send it via email to your friends. 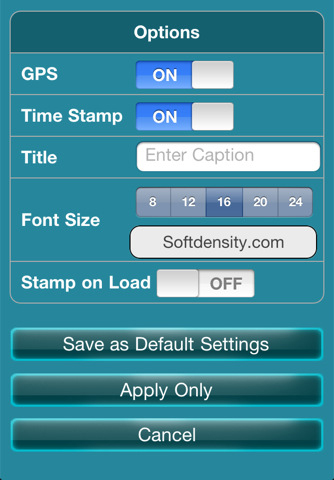 In its settings menu, PhotoStamper lets you choose the font size, the default title and whether to include GPS and Time Stamp information. When saving the photo with all that info, PhotoStamper doesn't overwrite your original photo. Instead it saves a duplicate version of it and adds all the information you've entered in the edit screen. PhotoStamper does all this by adding a white strip beneath the photo with all the details you've entered. All is nice and dandy, but why would you want to modify the physical appearance of your photos? That information is not searchable. Connecting iPhoto to your iPhone won't recognize that information and you'll have to re-enter that info into iPhoto. Personally, I was taking the operation of stamping photos to not mean literally stamping photos. I like the idea of tagging my photos for easy reference, but I would like to keep the appearance of my creations and have the stamping done as some sort of meta-information. For me, PhotoStamper doesn't particularly ring any bells. The app does its job wonderfully, just be sure you realize what that job is before downloading it from the AppStore. Developer: Soft Density PTE Ltd.
What do you think of PhotoStamper ? scroll down for our comment section.